Jason is backing the National Autistic Society’s (NAS) new campaign aimed at improving support for adults with autism in the Colne Valley, Holme Valley and Lindley. 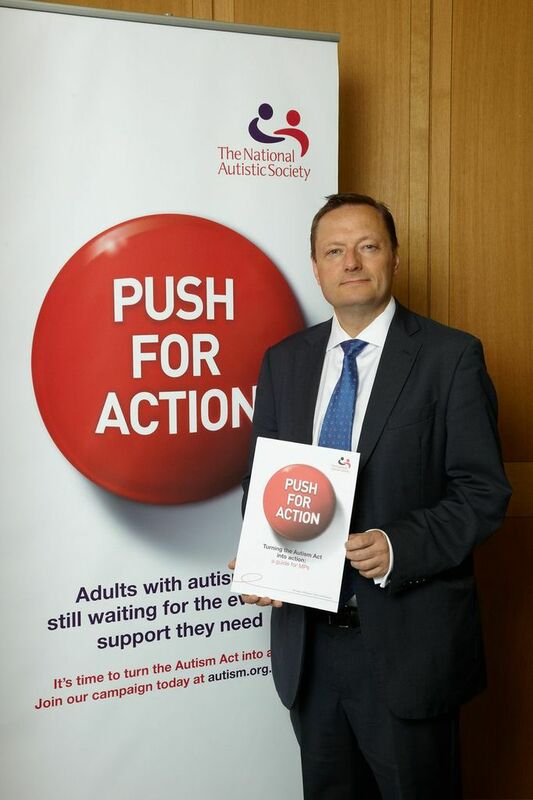 This year the Government is reviewing the impact of the Autism Act 2009, and the ‘Push for Action’ campaign will make sure that adults with autism in the constituency and across England can access support. Without the right support many people with autism can struggle with everyday activities that many of us take for granted, and the campaign will improve the life for adults with the condition.